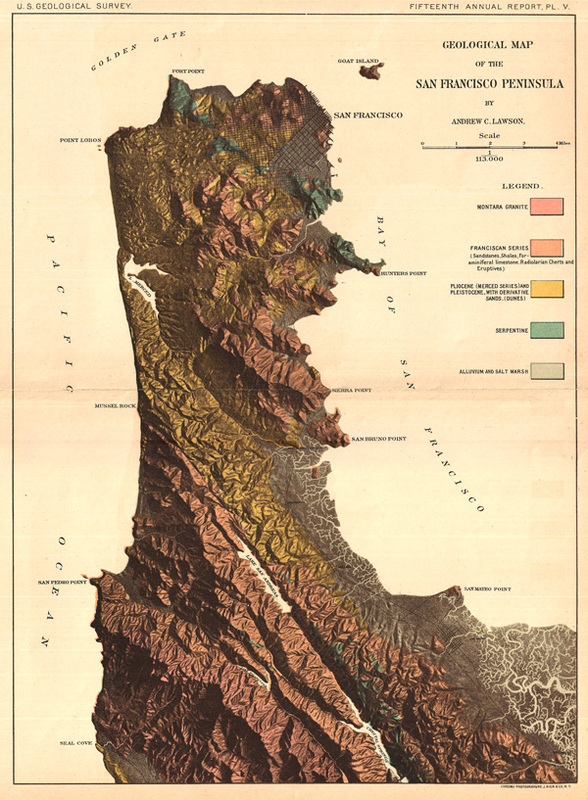 Geological Map of San Francisco Peninsula By Andrew C. Lawson. U. S. Geological Survey Fifteenth Annual Report, (New York) 1895. Very Good. Some minor margin repairs. Brittle at edges. Original centerfold.